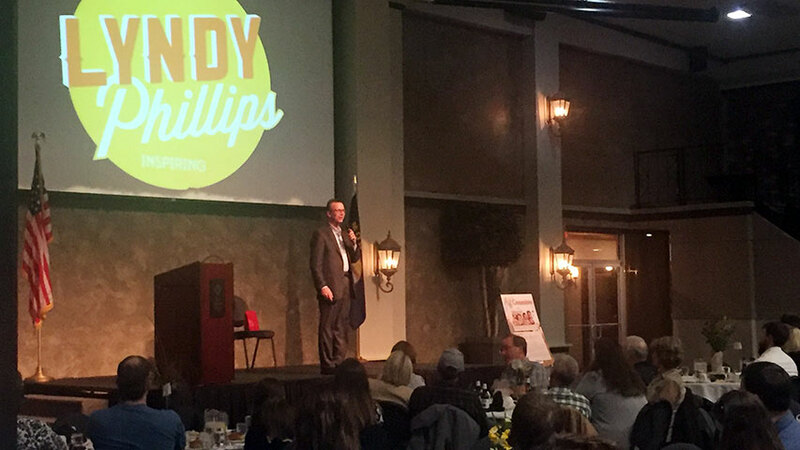 Lyndy Phillips is a dynamic, inspirational, funny speaker and comedy magician who recharges, renews, and refreshes audiences with his positive, upbeat presentations. 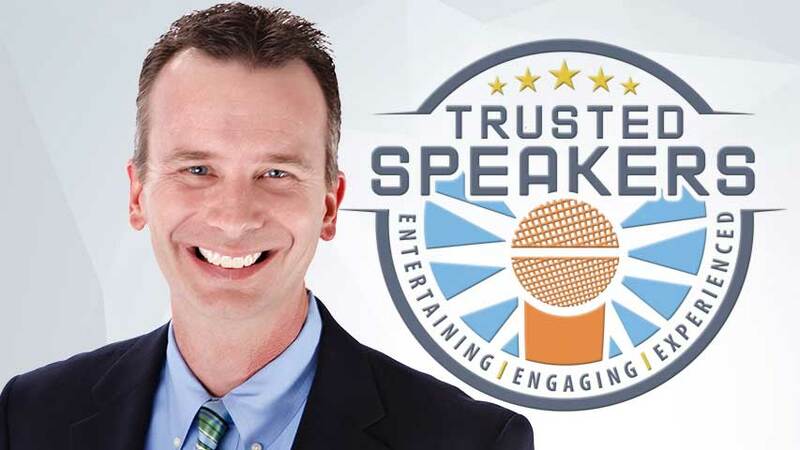 He’s highly entertaining with clean humor, comedy magic, and audience involvement and he’s inspirational with messages on reducing stress and personal value. 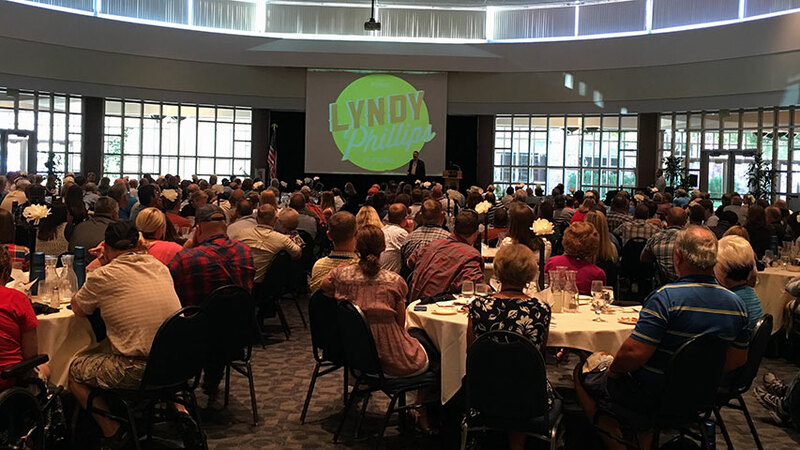 Lyndy was raised on an 850 acre farm in the Texas Panhandle, served fifteen years in full-time ministry, worked in sales for seven years, fundraising and development for five years, and raised two children with his wife of thirty years. On top of all that, he was Executive Director for a television show about marriage. He knows a thing or two about stress and its impact on the body! Growing up with variety shows like Carol Burnett Lyndy learned how clean humor and physical comedy can be very entertaining. After learning sleight of hand at age nine, Lyndy began combining it with funny stories and physical comedy and created his unique style of entertainment. 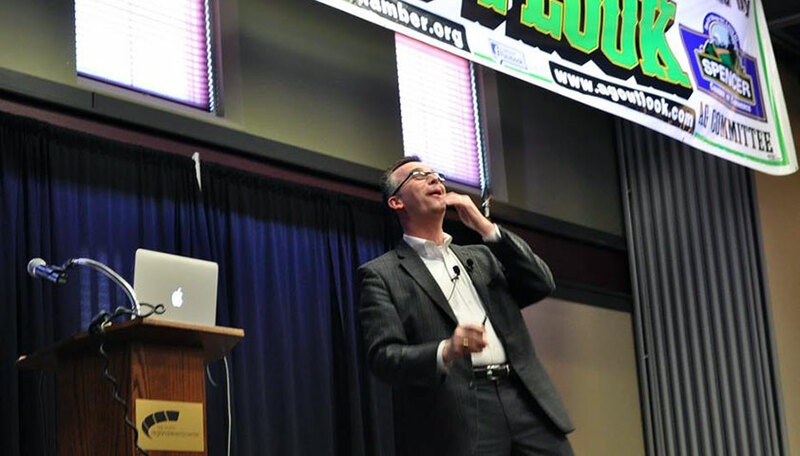 When combined with his Laugh More, Stress Less philosophy, audiences experience a unique speaker who knows how to get people laughing and reducing stress in a fun, memorable way. Lyndy and his wife live in the Dallas/ Fort Worth area. They have two grown children and two dogs, Pepper and Zuzu. Lyndy is a and a member of The International Brotherhood of Magicians, Christian Comedy Association, Texas Farm Bureau… and Sam's Wholesale Club!!! "Lyndy was awesome! He had the crowd rolling with laughter the entire night. Our group was somewhat conservative, but had a great sense of humor and he played well to the crowd and their personalities. The audience participation was great - he chose the perfect guests to participate. Our group has had concerns in the past about being to understand accents and sometimes the presenters spoke to quickly, but he did a great job of communicating clearly with the crowd." "Outstanding performance last night. Finding entertainment is a difficult job, but finding exceptional talent like Lyndy and then being the beneficiary of the comments and appreciation after his performance is really amazing. I had several customers thank me for the enjoyable evening and express their appreciation for having him as our guest speaker. He left a strong impression on my group and I am thankful." "Thank you so much to Lyndy for coming out to address our staff as we prepared to kick off the 2017-2018 school year. His presentation "Laugh More, Less Stress" was fabulous. The combination of magic & comedy was perfect. Our staff was attentive to his message while smiling & laughing. 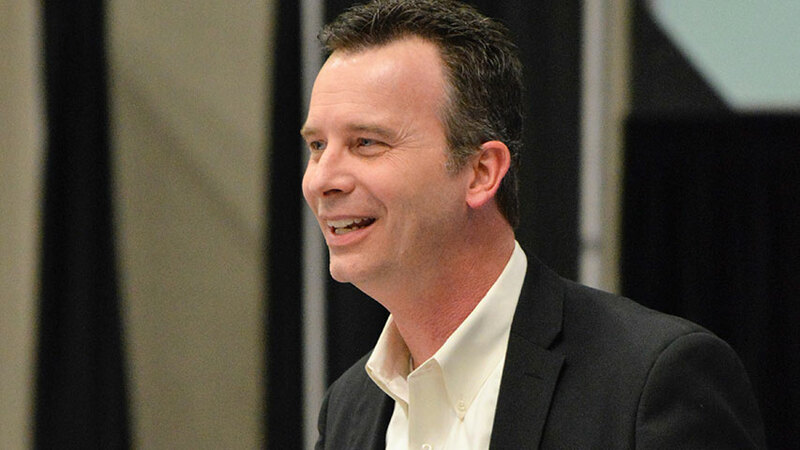 Eula ISD truly appreciates his time & message." "Red Lick ISD is a small east Texas school; however, the staff is a quality staff. I wanted to do something special for them. I had heard Lyndy before and was so impressed about how he could bring a bring a group to realize how important they are in the lives of children. He delivered! There was humor which resulted in tremendous laughter. There was entertainment in the form of magic and participatory activities. And, there was truly a serious message delivered concerning "stress" and the release of stress. It was just great! The staff is still talking about the presentation a day later." 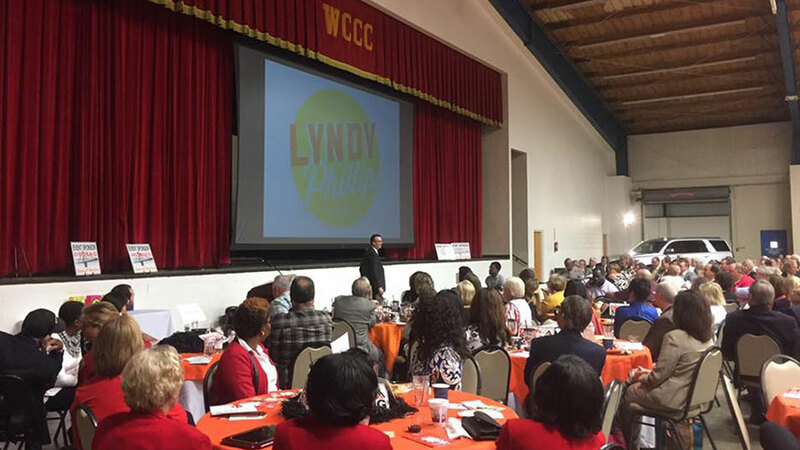 "Lyndy was an outstanding addition to our annual meeting. His message perfectly aligned with what we needed and the core values of our company. 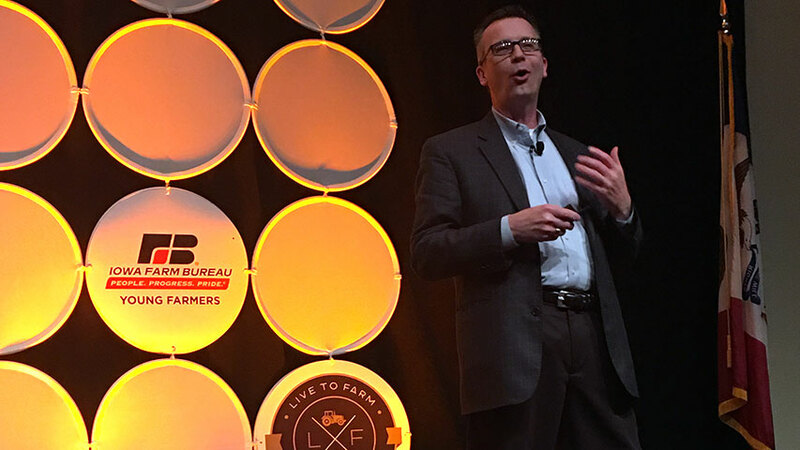 This was an entertaining presentation with a great message and is highly recommended." "Lyndy was wonderful!! 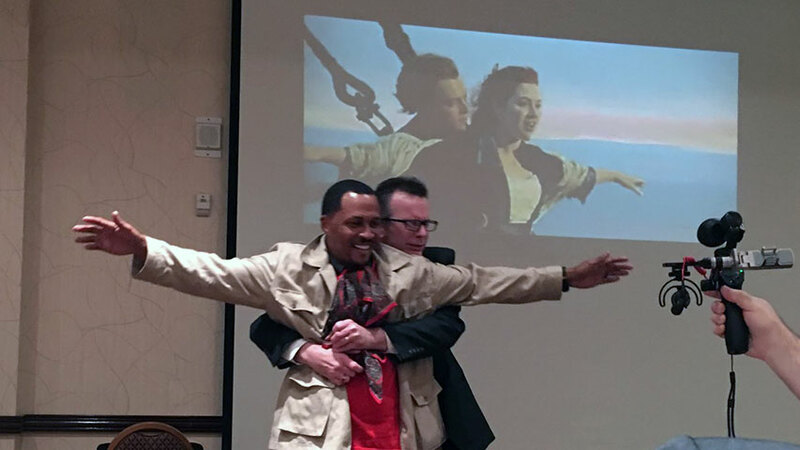 It was probably our best annual meeting entertainment the six years I have been doing it. Everyone loved him!" "Lyndy provided a wonderfully uplifting and fun way to close out our conference at the awards and recognition program. 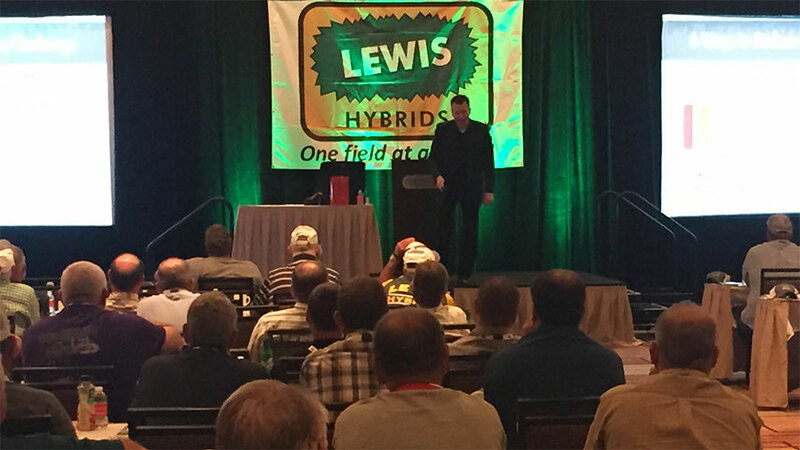 Our attendees appreciated his message and his exhilarating delivery. 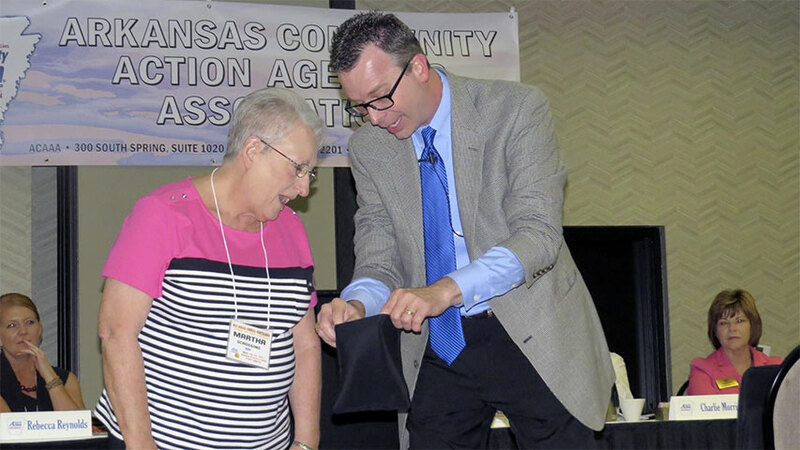 The bottom line is that everyone thoroughly enjoyed the awards and recognition program because of his witty, fun, and interactive presentation." "Lyndy is a very talented comedian, motivator, magician and speaker. He relates well and offers a variety of offerings to keep things fresh and engaging. I cannot say enough about the tremendous respect I have for the truest form of comedy: entertainment that can have people entertained, enlightened, in tears and de-stressed without a word of foul language or off color trash. You cannot miss with a Lyndy show." 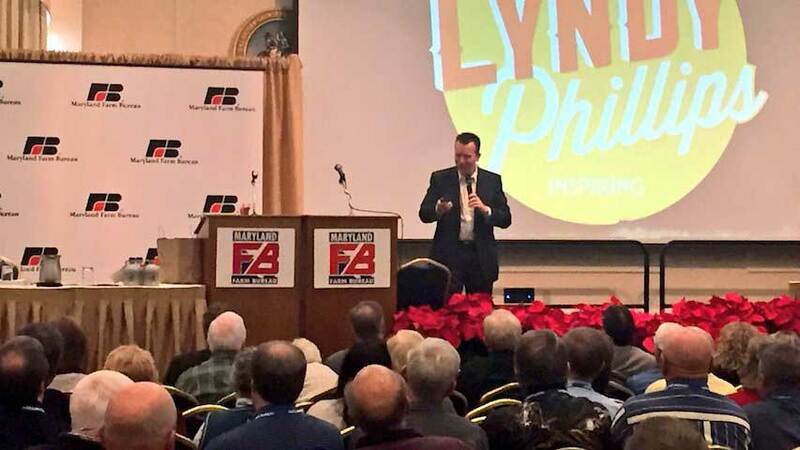 "We were very happy with Lyndy as our keynote speaker at the 33rd Annual Northwest Iowa Ag Outlook Conference and Trade Show! Lyndy is very easy to work with; we totally enjoyed hosting him. Our office has heard nothing but great comments on Lyndy’s presentation! The audience enjoyed the interaction, the clean humor and all round presentation he presented. We have even received comments that in a couple to three years that the committee should look at bringing Lyndy back." 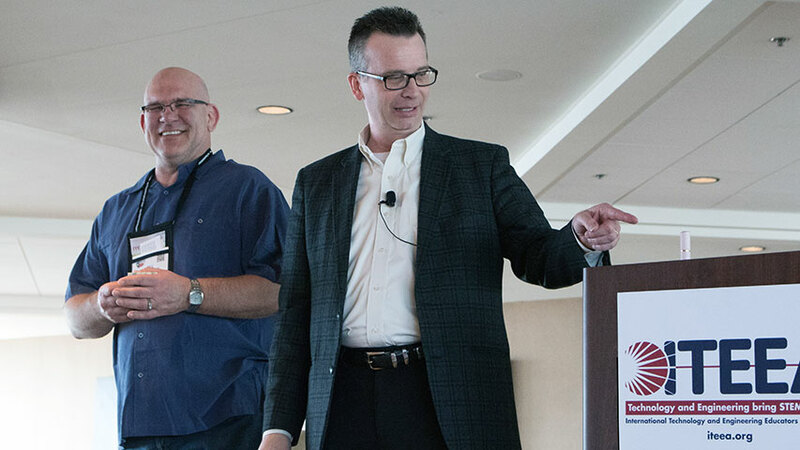 "Our employees are still laughing and talking about Lyndy speaking at our companywide meeting. 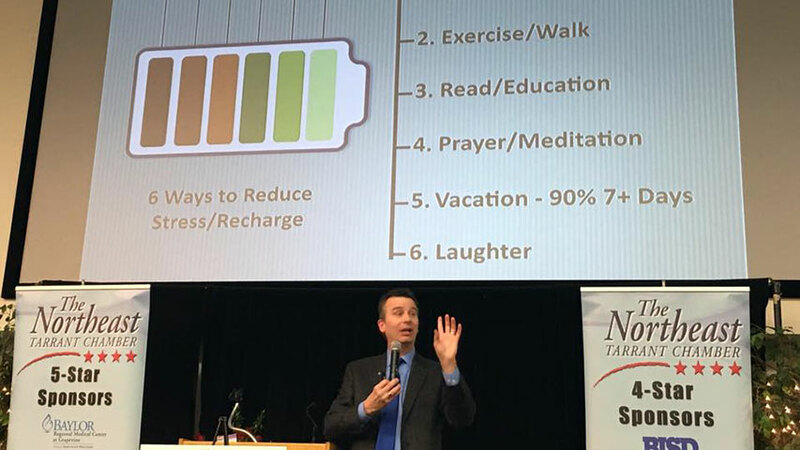 He gave us a much needed laugh (that actually lasted the entire hour) and insight into reducing stress. His humor was right on the money and well received by all. We expect to see him for round two next year." Where does Lyndy Phillips perform? Lyndy Phillips has recently performed in: Alabama, Alberta, Arizona, Arkansas, California, Colorado, Connecticut, Florida, Georgia, Illinois, Indiana, Iowa, Kansas, Kentucky, Louisiana, Maine, Manitoba, Maryland, Michigan, Minnesota, Mississippi, Missouri, Montana, Nebraska, New Mexico, North Carolina, North Dakota, Ohio, Oklahoma, Pennsylvania, South Carolina, South Dakota, Tennessee, Texas, Utah, Vermont, Virginia, Washington, West Virginia, Wisconsin, Wyoming, just to name a few.